Focus is at a premium in the digital age. 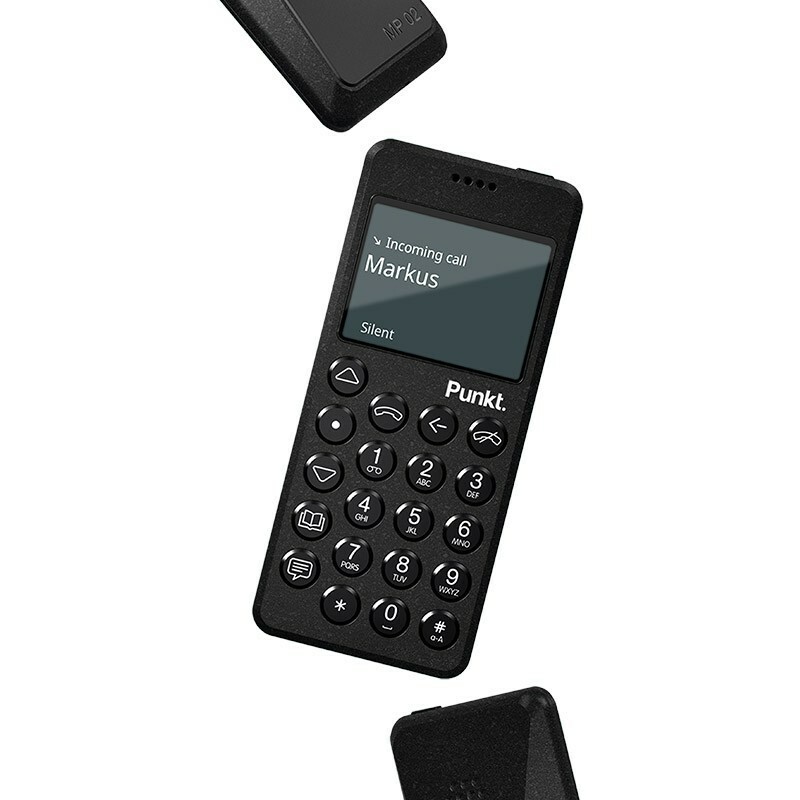 The MP02 makes it easier to be where you are, whether that’s a family weekend away or an important business meeting. It gives you freedom from a constant onslaught of designed-for-addiction notifications and other distractions. It puts you in charge. 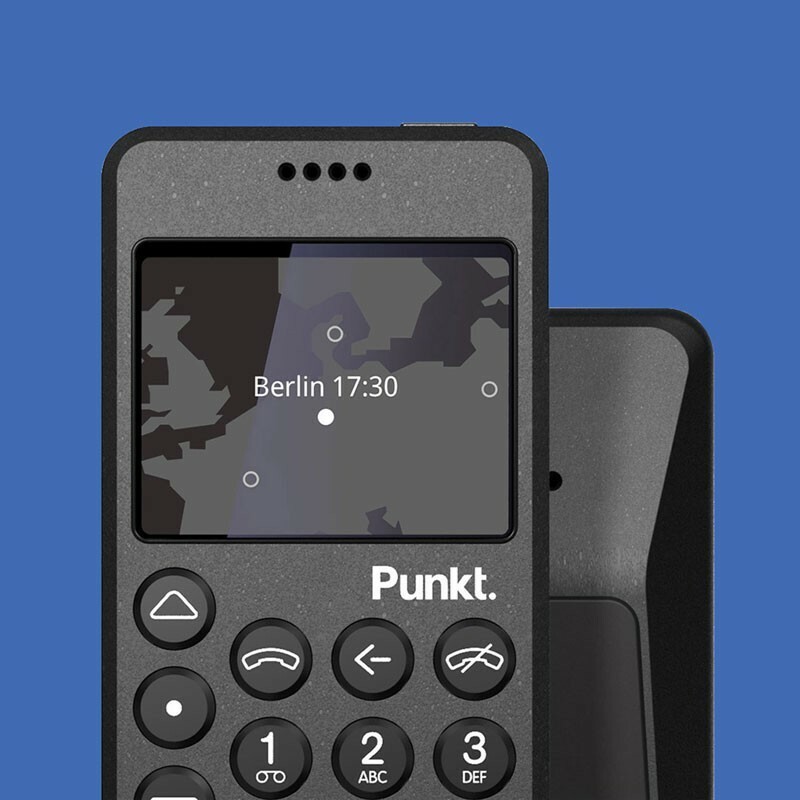 The Punkt. MP02 is built for connecting with people. 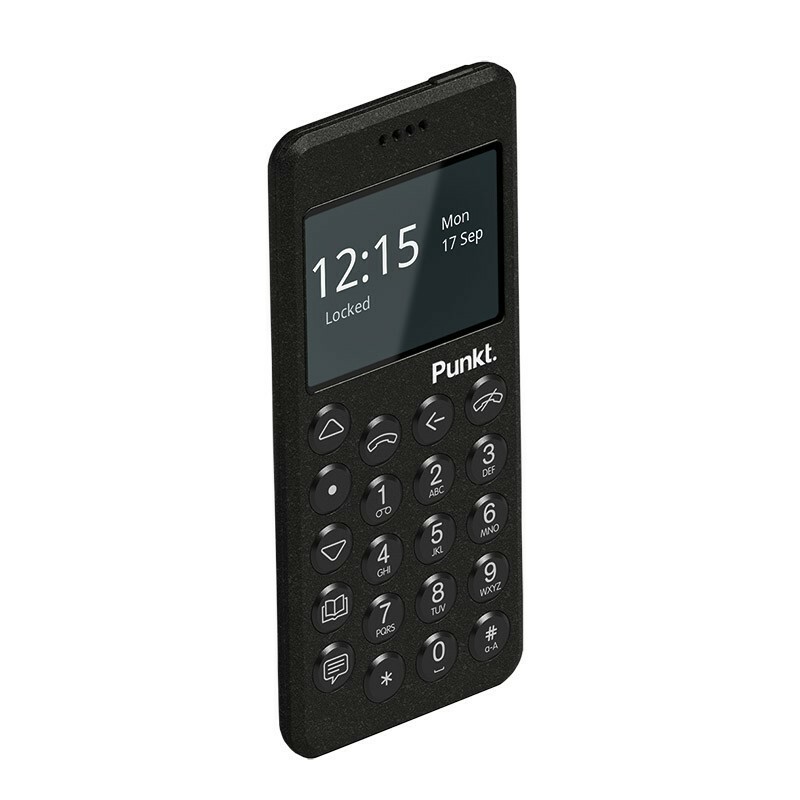 It’s comfortable to hold and to use, and features excellent audio quality and battery life: a phone that actually works as a phone, with up-to-the-minute styling and an interface that is elegant and efficient. The instantly-recognisable MP02 is the work of renowned product designer Jasper Morrison. 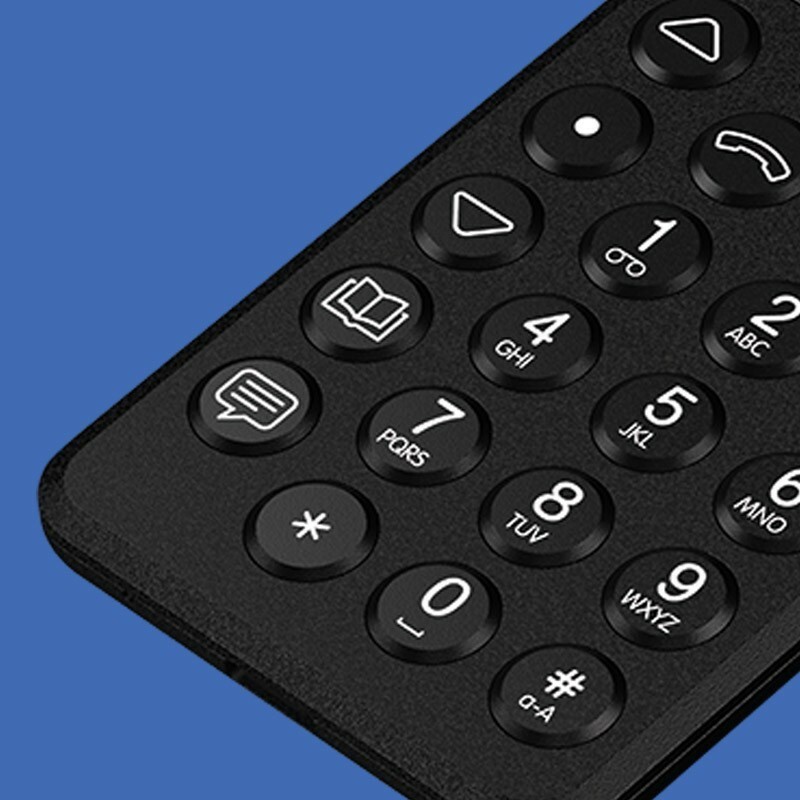 It is built around effective simplicity: press the phonebook button to make a call, press the text button to send a message. For everything else, there’s a fast, lean menu system: up, down, select, go. A BlackBerry-controlled workstation adds BlackBerry Secure protection during manufacture. 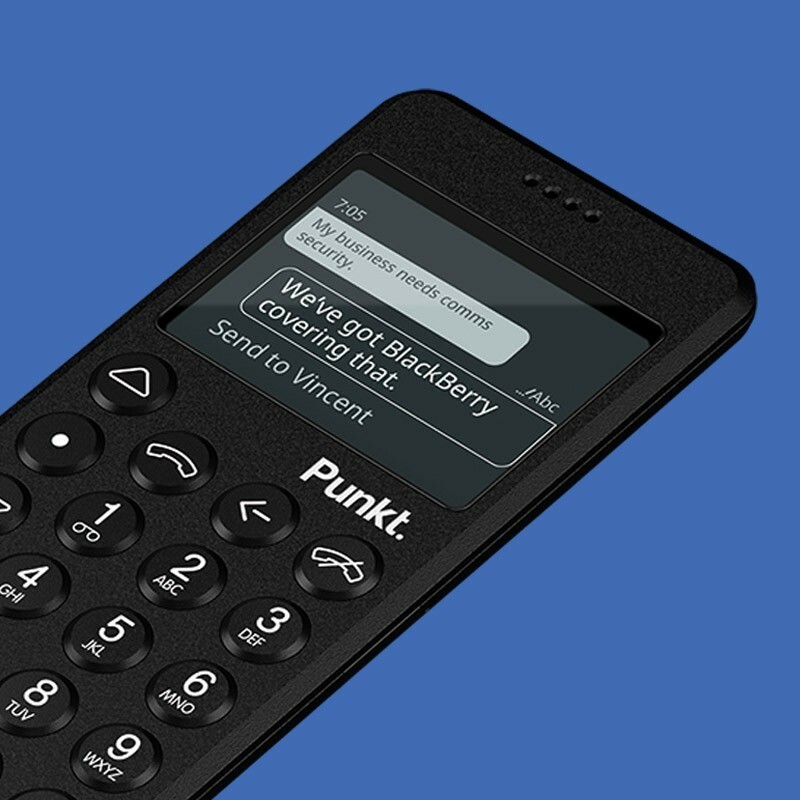 This is a world first: no other non-BlackBerry phone has had this before. 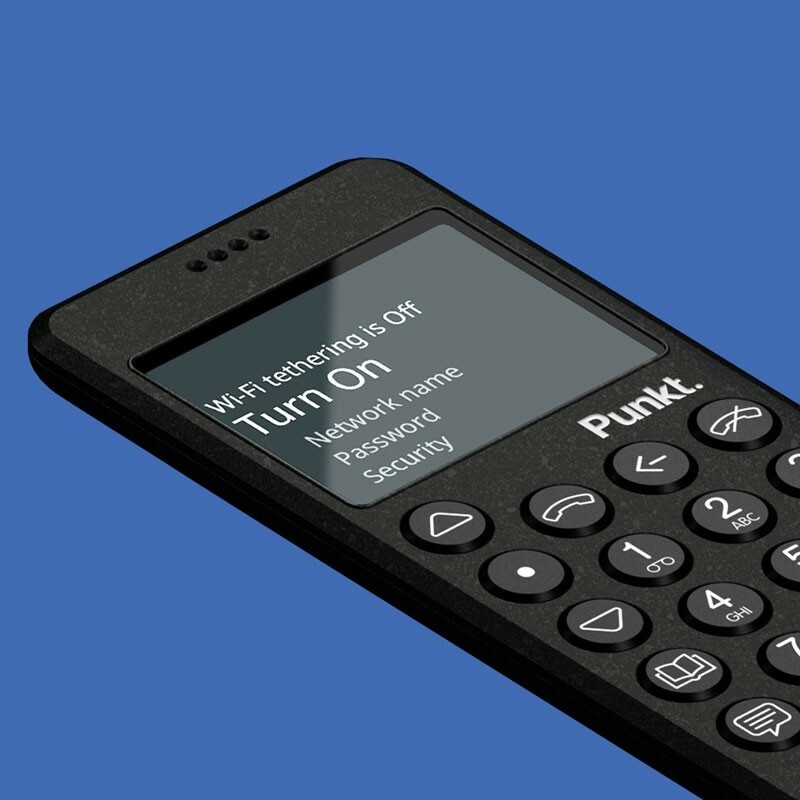 The MP02’s unique ringtones have their own pedigree: they are the work of respected Norwegian sound artist Kjetil Røst Nilsen. The phone feels solid in the hand. It’s well-balanced and is designed for one-handed use. The body is reinforced with glass-fibre and its textured finish is both protective and unusual. It’s a phone for keeping, not replacing. The housing of the MP02 is reinforced with glass-fibre and finished with a tough, abrasion-resistant coating. Splashproof to IP52 standard. The display is monochrome+ (black and white). Unusually, the interface is 100% text-based – no icons whatsoever. Click through in seconds: up, down, select, go. 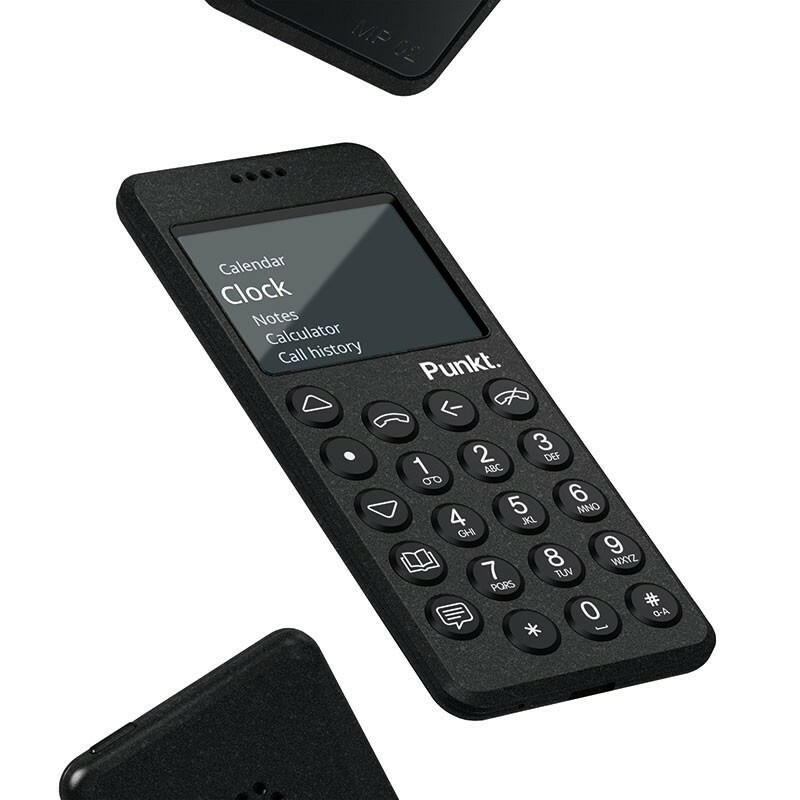 "Punkt's MP 02 - the best minimalist cellphone with 4G"
"A candybar style cellphone whose few features are polished to perfection"
"From the original disrupter of the smartphone market"
"A true antidote to technology overload"
"A sleek new back to basics phone"
"A device that embodies the perfection of minimalism"
The body of the phone is reinforced with glass-fibre for maximum durability. The recessed screen is protected with Gorilla Glass. Easy to hold and use – with real buttons. Remains cool during extended use. Monochrome+ (black, white and occasional red). Unusually, it is text-based. Click through in seconds. Up, down, select, go. Quick to learn, easy to use. Dedicated Contacts and SMS buttons for instant access. Voice communication via VoLTE. Internet access available to secondary devices via WiFi/Bluetooth/USB. Threaded messaging, user-defined dictionary, MMS receipt/display and distinctive monochromatic ideograms. BlackBerry Secure is built into the MP02 during manufacture. The speaker housing is designed to optimise its acoustic properties. Selection of original ringtones specific to the MP02, created by Norwegian sound artist Kjetil Røst Nilsen. Simple to connect to an earpiece or car system. Note: the initial version of the MP02 operating system is affected by minor bugs which are impacting on battery life. Fix is imminent in future update. *We are currently unable to supply the USB charger with the MP02 in Japan due to national PSE regulations. 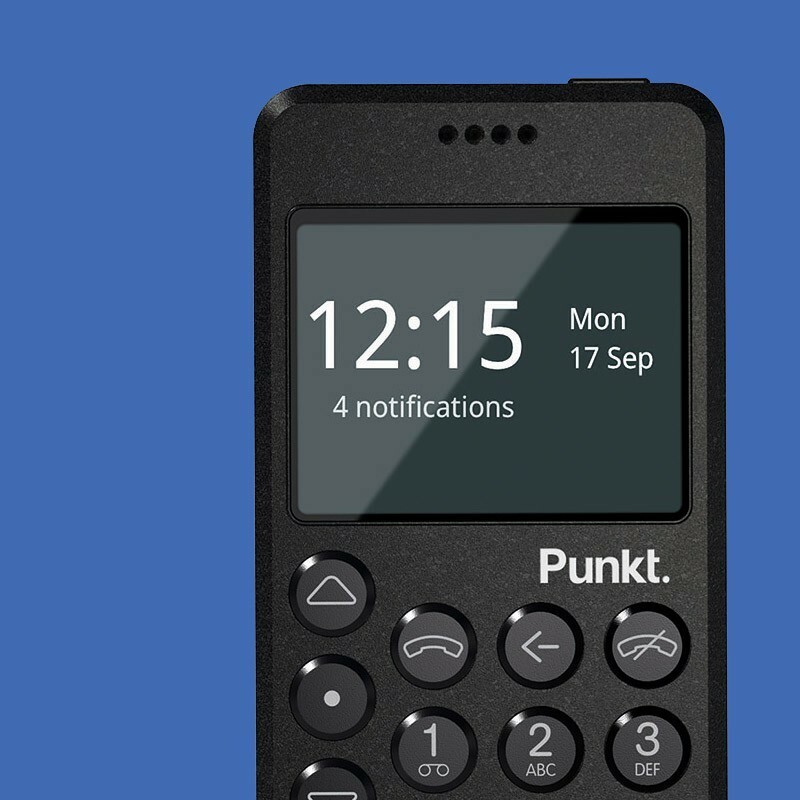 Place an advance order and receive a free Punkt. tote bag. You may cancel your advance order at any time, right up to the dispatch date.